What’s the surest way to pay full price? Wait until you run out of something. It’s so easy to stock up on toothpaste when it’s on a deep discount or free than to have to pay $3 for a tube because I’ve run out. As you might guess I keep a cabinet stocked with shampoo, razors, toothpaste, deodorant, soap and other items. Drugstore deals make great donations. Charities that serve homeless individuals, families in crisis or rescue situations, and elderly often request personal care items, since they can be fairly expensive to buy at full retail price. Saving then sharing, makes especially good use of strategic shopping. Here are a few ways I save at drugstores. Scan weekly sales circulars – many store circulars include store coupons, wich can be combined with manufactured coupons and other offers. I visit Coupon Mom for my Grocey Store and Drugstore savings. She does all the work for me by listing all of the weekly and monthly deals. There are many other sites that provide different scenarios, and I’ve found it helpful to read them and find senarios that best match what my own needs (and coupons) are. 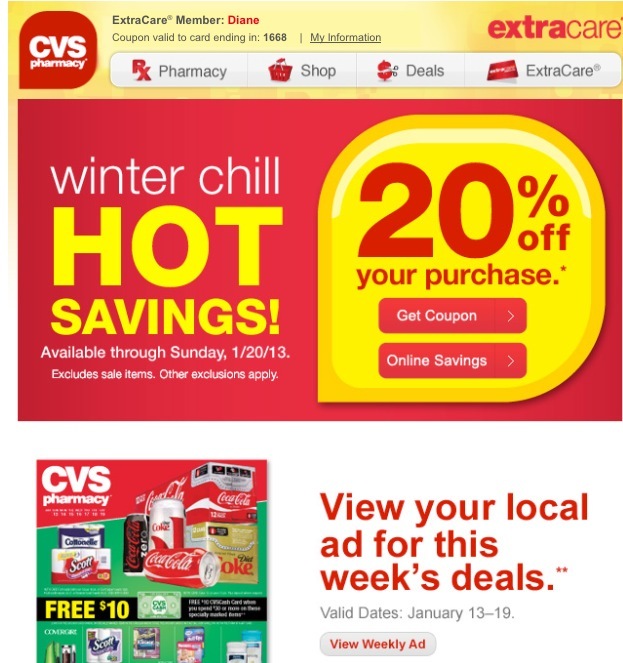 These sites also link to available printable coupons in case you don’t have one from the newspaper. Combine “Buy one, Get one” offers with coupons. learn how to take full advantage of Drugstore rebate and rewards programs. They are a way to not only SAVE BIG, but to actually make money! 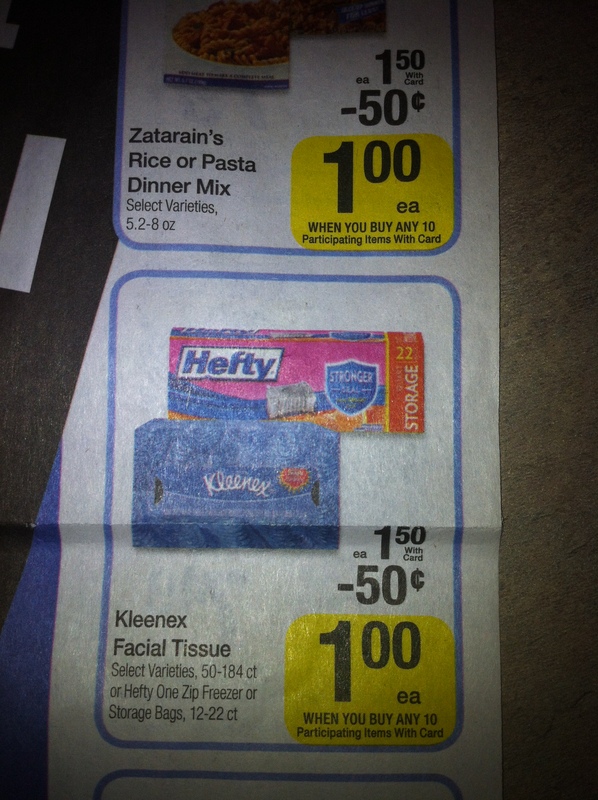 Here is a deal senerio I found awhile back at CVS. Pampers diapers were on sale for 9.99. 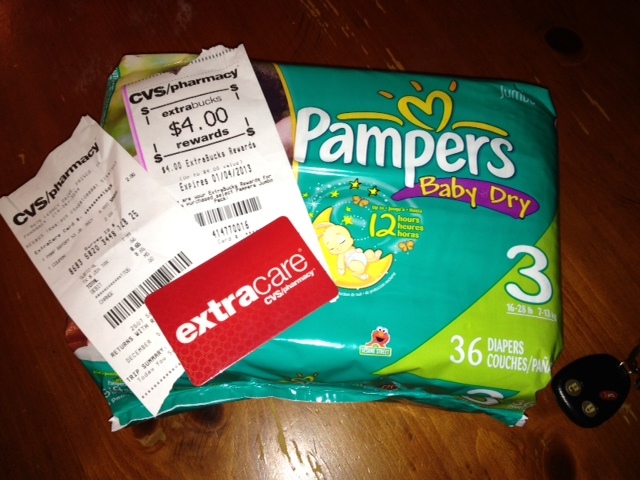 I had a $2.00 off coupon and recieved a $4.00 off extrabucks rewards which made my diaper purchase only $4.65. That’s .7 cents per diaper! 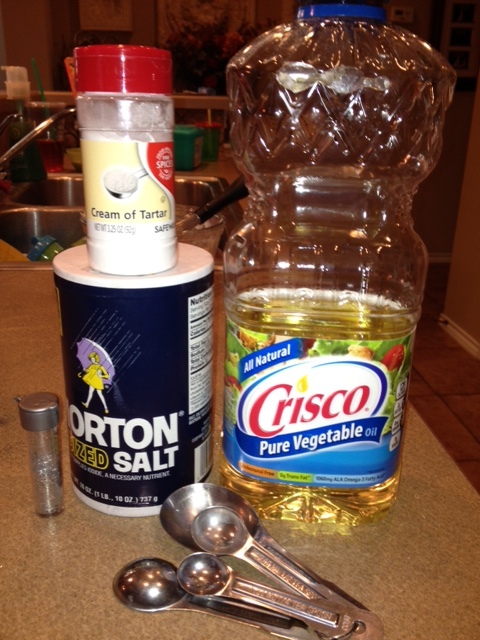 Do you ever get started on a recipe and then realize that you are missing an ingredient? I just got hooked into getting a bread machine! 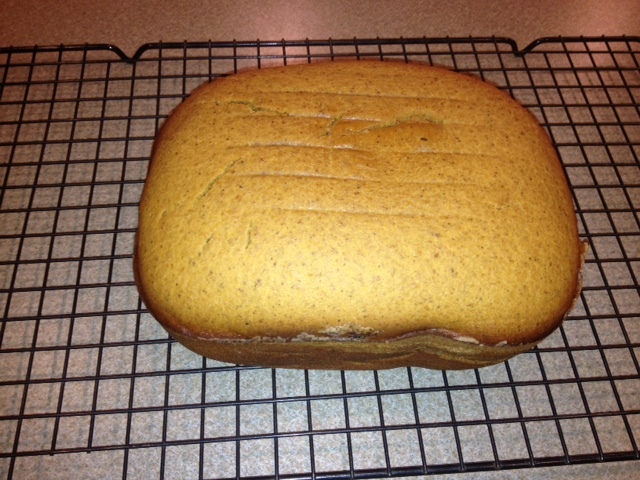 After learning from my frugal gal Christy about making your own sandwich bread recipe I decided to give pumpkin spice bread a try. It turned out DELICIOUS! 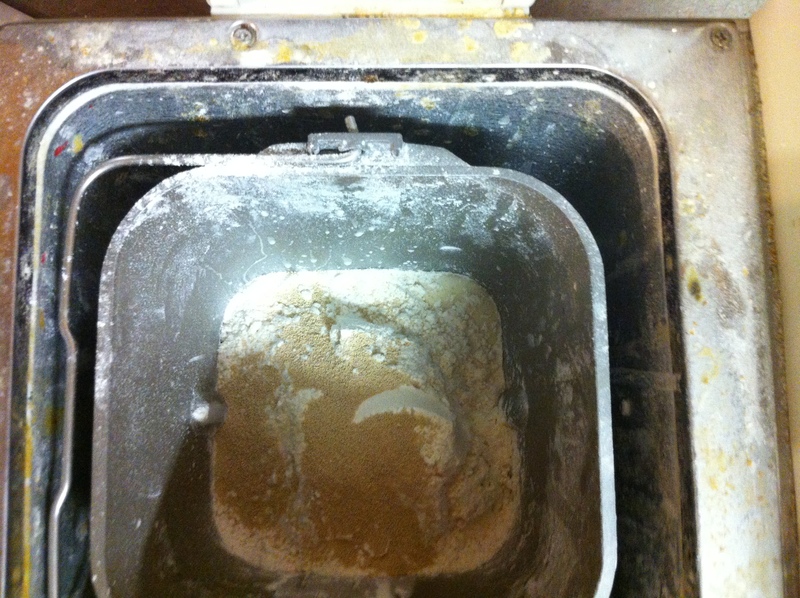 Grease bread machine pan and kneading blade. 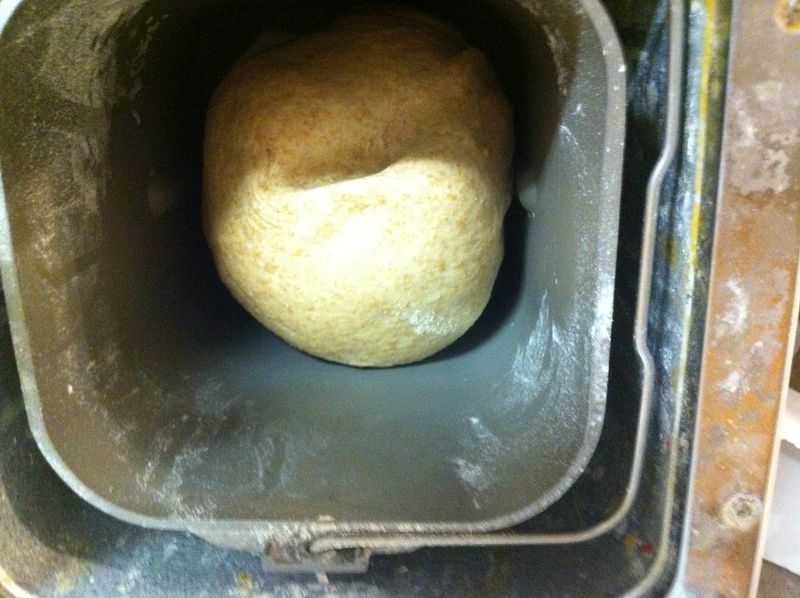 Measure carefully, placing all ingredients in bread machine in pan. Select quick bread cycle only. After 3 minutes into cycle, open lid and carefully scrape down the sides of pan. Close lid to continue with cycle. I cooked for an additional 10 minutes. 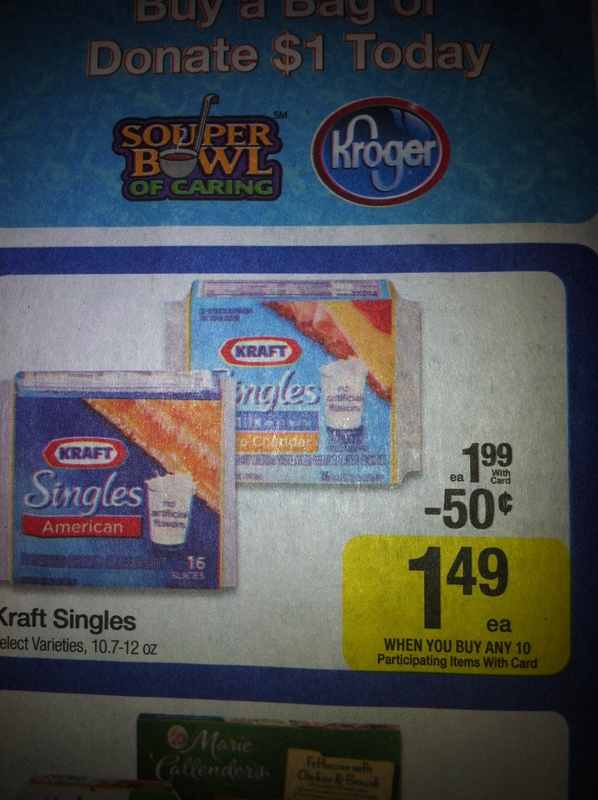 If you have a Kroger store in your area, you are in LUCK! While they no longer double any coupons, they do have mega events periodically where you can save BIG! A mega event is a time when they give you $5 off your bill for every 10 participating items that you buy. These items are marked in the store with tags. For all you game players out there, this is the time to STOCK UP!!! 1. Make sure to purchase the exact number of items. You get $5 off for every 10 items. If you buy 14, you won’t get the discount on the last four items. I normally put all my participating items in one section of my cart and then place them together on the belt when I check out to make sure! 2. STOCK UP! This is the time to buy lots of the items that you will use! If it can be frozen or will stay fresh, buy extra to get you through until the next mega event. 3. Don’t buy it if you won’t use it! (Unless you want to donate it!) It may be a great deal, but it is a waste of money if you will not use it. 4. 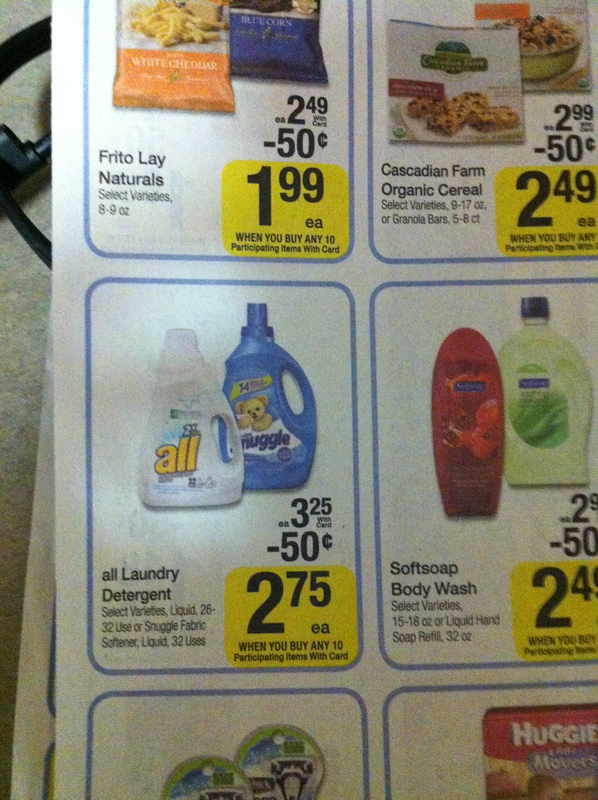 Keep an eye out for items that are cheap and don’t need a coupon for maximum savings. These are great fillers when you are an item or two short of an even 10. Keep in mind, that every time they do this they are different. There are some items that seem to show up often, and others only every now and then. Here are some examples of a few of the items that I will be stocking up on this week to give you an idea of how you can save BIG! Goldfish, these are a favorite around my house and $0.79 is a fantastic price. I will be STOCKING UP!!! 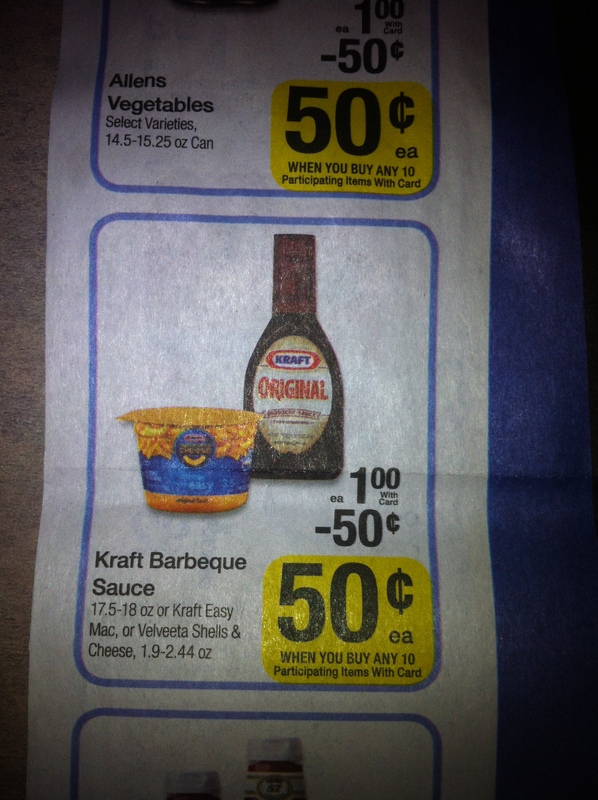 Barbecue sauce….my kids will eat many things as long as they have it! You can’t go wrong with $0.50. This is also a great filler if you have 8 items and need a couple to get you to the magic 10. I have a coupon for $0.55/2 making these $1.22. That makes for some FRUGALICIOUS sandwiches! I LOVE meeting the needs of others like most of us right? I’ve seen first hand what giving can do and I find comfort in knowing from my savings I am able to help those in need. The picture above are items we donated to our local food pantry. Any small thing will help cut out hunger. 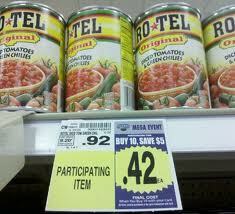 Also, overseas military members can use expired coupons up to six months past their expiration date. 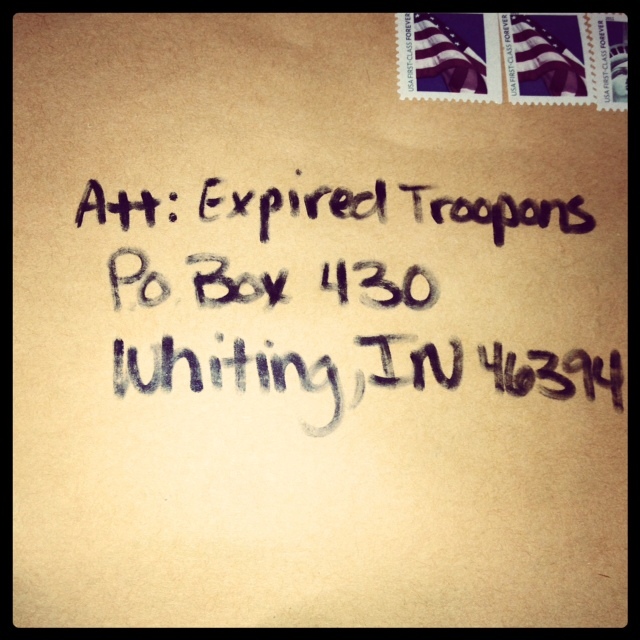 Military families stationed overseas are often living on one income and money can be scarce. Let’s support our military by showing them some coupon love! For more information on spreading the coupon love check out this link! Do you have any tips on sharing in your savings? When you have 5 kids, making sandwiches for lunch takes an entire loaf of bread. In an effort to be healthier, I like to buy whole-wheat bread. 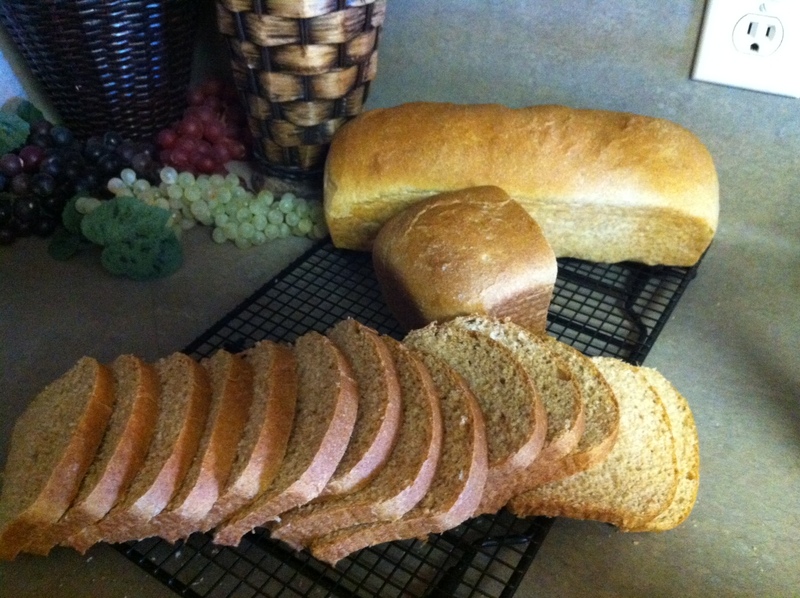 But….I could easily spend $10/week just on loaves of bread. 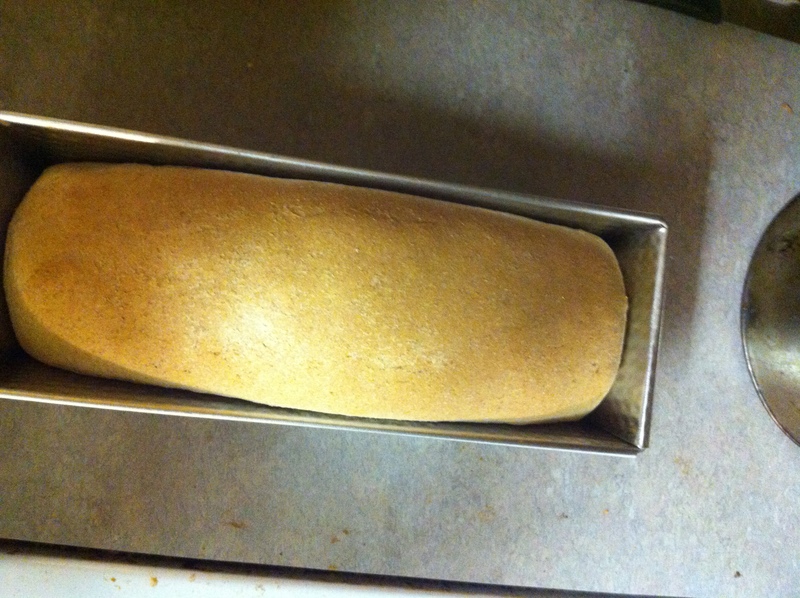 So when I found my lost bread machine last year, one of my first projects was to learn to make sandwich bread. The first thing I discovered was that a traditional loaf pan made my bread too big, so I got online and bought this one on Amazon. 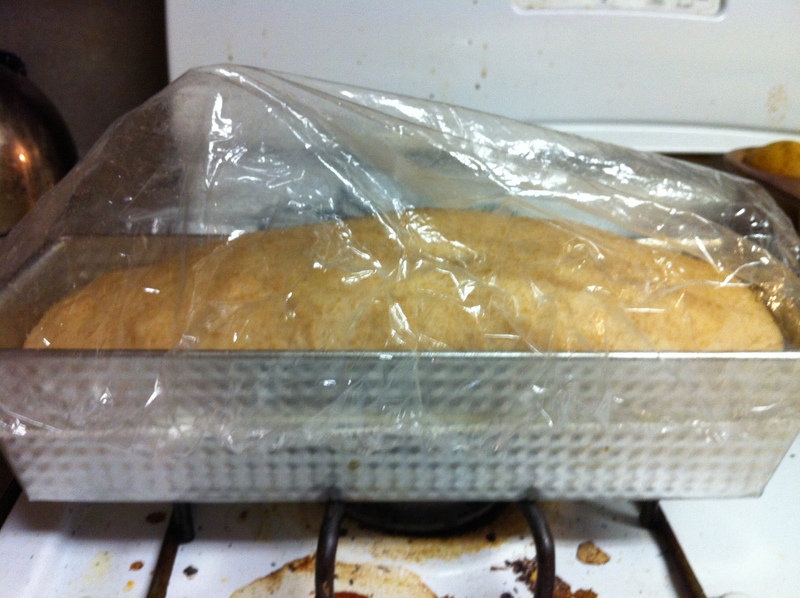 It makes a more traditional size loaf of bread. About 30 minutes in, preheat the oven to 350. 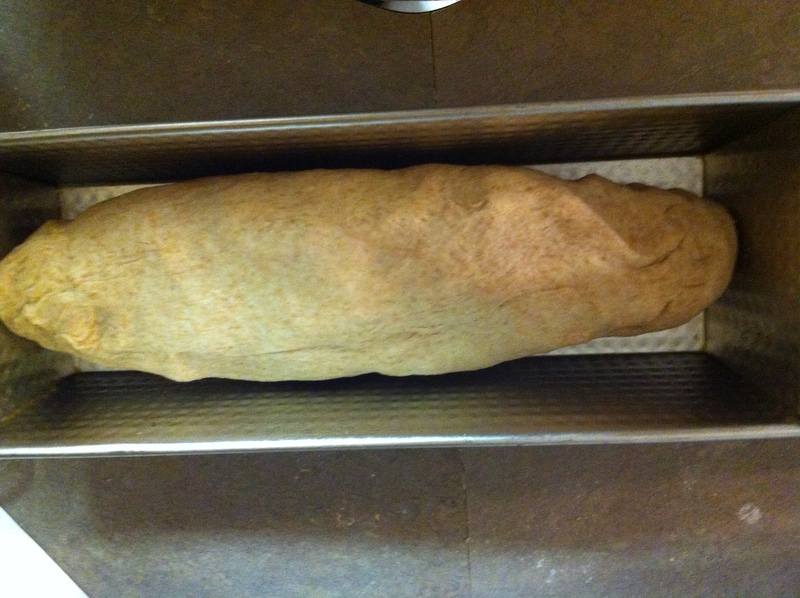 Once the bread has about doubled, it is ready to be baked. 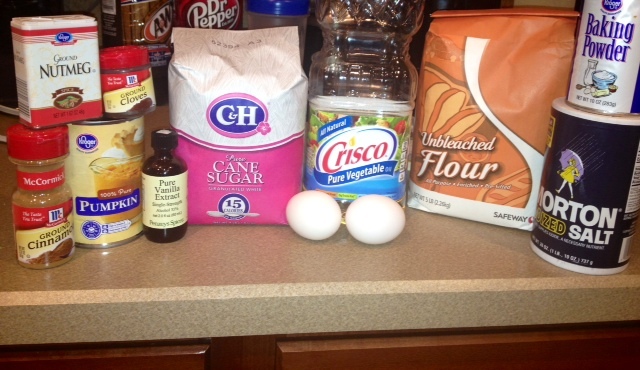 Bake for 25 minutes! While still hot, run a butter knife around the edges to keep from sticking. Slice and ENJOY! When I calculate the cost of this bread, a loaf is about $0.68/ loaf. 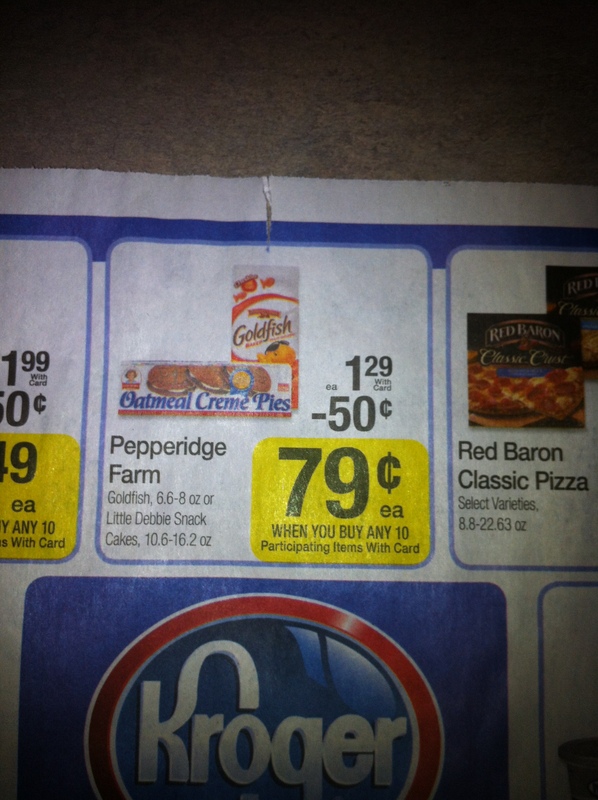 That is about 70% cheaper than buying a loaf of bread……..FRUGALICIOUS! 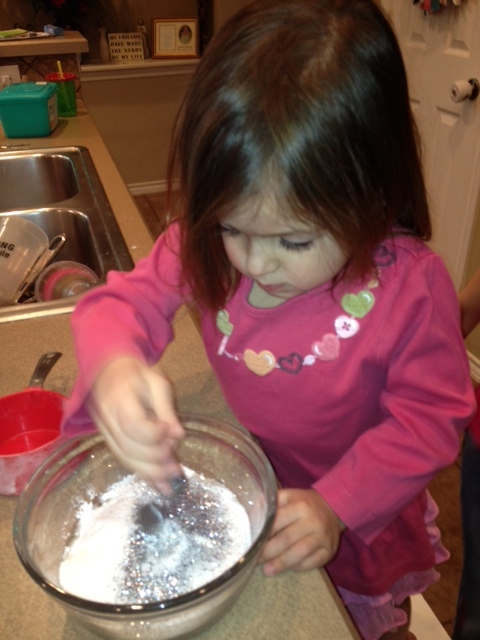 I’m always looking for new, creative and frugal ways to entertain my little munchkins. 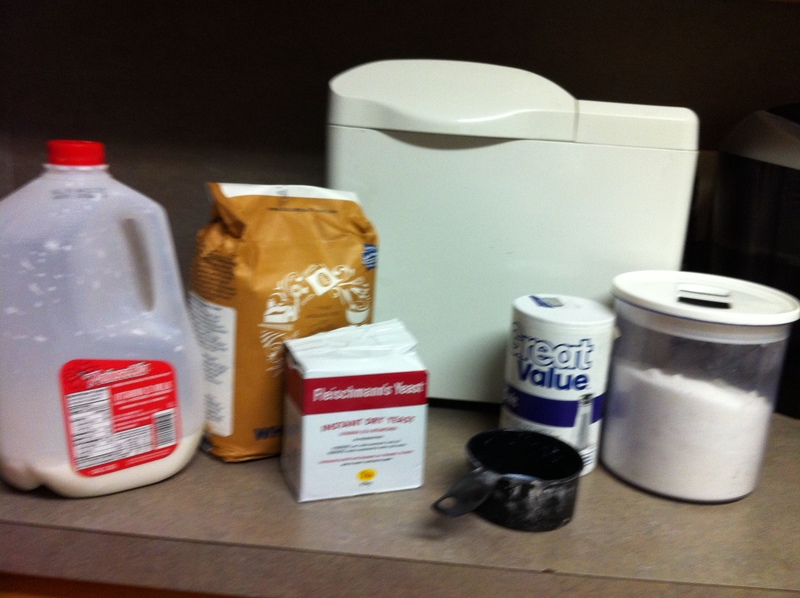 Today I decided to pull out a few basic ingredients and give it a shot at making some homeade glitter playdough. They say life begins at the end of your comfort zone right? In this case, I can mark this in my book as a victory in my mothering adventure! Get your extremely cute little one and place all the ingredients in a saucepan. Mix. Then heat until the dough thickens. It’s that EASY! 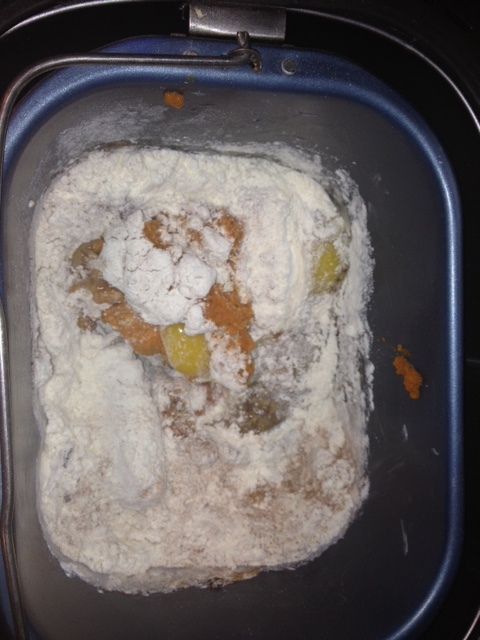 And just in case you were wondering, no children were harmed in making this playdough:) Enjoy!